To better guide your kid with their handwriting, you have to be able to pinpoint exactly what he is struggling with. The pencil should be held in a tripod grip. It is the proper way to hold pens and pencil. Another thing is to keep the paper in place with one hand and write with the other. Make sure that the kid knows how to write the letters well and understands letter sizing. It is also necessary to get the proper spaces in each word. Take note that the feet should be flat on the ground with the elbow at 90 degrees, sitting up straight. Handwriting aids are great tools that give your child all the writing help he needs. There are different types of aids available to help your child. Select the best ones that will best help your child. Make sure that the size of the pencil fits your child’s hands. Properly holding the pencil is still the most necessary skill that your child needs to learn. What better way to practice than air writing. You save ink and paper and stimulate the imagination of the kid. You can begin by making the kid repeat after you. 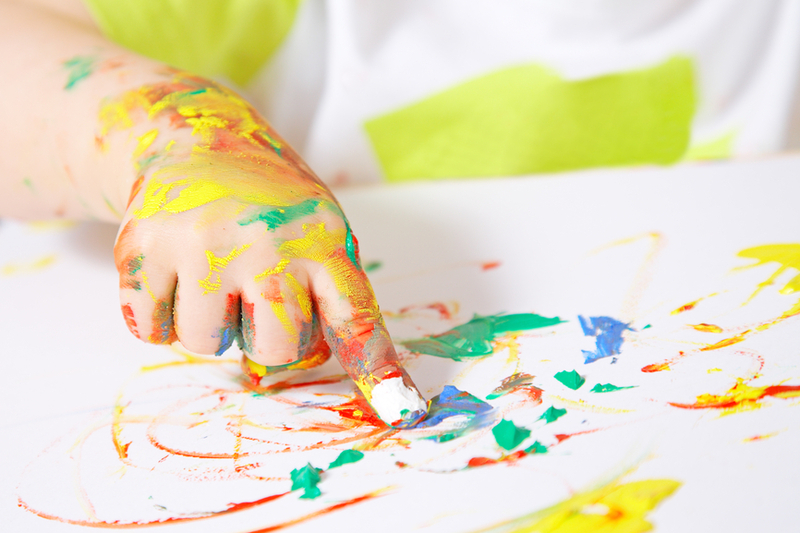 Finger painting is one exercise that helps in the improvement of the kids’ muscles. The kids can learn the basics of the handwriting even before they start writing with words and letters. It may be a bit messy but it has been found that kids develop their handwriting skills with finger painting. Remember that a child is a child. You cannot expect perfect curves and ruler-straight lines. Make the purpose of your exercise fit the age of your kid. Doing it this way will make both of you fulfilled and satisfied, plus, you get all the fun together.